Gift of Isabel Frazer and John Frazer, Jr. (A.B. 1947), March 6, 1991; gift of John Frazer, Jr. (A.B. 1947), May 3, 2006, June 15, 2006, and October 9, 2008; purchased at auction December 21, 2006, December 14, 2011, March 20, 2012, May 30, 2012, and September 10, 2012. The Frazer Family Papers, a collection documenting five generations of University of Pennsylvania alum, are arranged in ten series. They include: the Persifor Frazer (1736-1792) papers, the Robert Frazer (1771-1821) papers, the John Fries Frazer (1812-1872) papers, the Persifor Frazer (1844-1909) papers, the John Frazer (1882-1964) papers, the John Frazer, Jr. (1922-2011) papers, and the Tench Frazer (1927-1990) papers, and Other Family Members and Relations, Photographs, and Memorabilia. The Persifor Frazer papers contain two sub-series, correspondence and general files. The Robert Frazer papers contain three sub-series which are personal papers, professional papers, and books. The John Fries Frazer papers contain four subseries which include student papers, professional papers, and personal papers, and books. The Persifor Frazer papers are arranged in three subseries which include correspondence, general files, and books and pamphlets. The Robert Frazer papers contain a single sub-series, general files. John Frazer’s papers are arranged in seven subseries which include student papers, professional papers, personal papers, military papers, personal papers, books, chemical instruments and apparatus, and office materials. The John Frazer Jr. papers contain three sub-series which are professional papers, personal papers, and memorabilia. The Tench Frazer papers contain one sub-series which is personal papers. The Other Family and Relations include material from the following individuals (arranged alphabetically according to the last name of the person): Richard Lewis Ashhurst (1830-1911), Thomas Cave (1788-1845), Mary Ann Rhodes Denny (1811-1872), Sarah Toombs Fortson (1856-1953), Charlotte Frazer (1872-unknown), Charlotte Jeffers Cave Frazer (1815-1881), Isabel Frazer (1920-2008), Isabella Nevins Whelen Frazer (1840-1929), Mary Foxley Tilghman Frazer (1886-1976), Persifor Frazer (1808-1880), Robert Frazer (1818-1878), Tilghman Frazer (1916-1925), John Fries (1744-1824), Martha Isabella Denny Harrison (1822-1909), Samuel Alexander Harrison (1822-1890), Mary Spencer Harrison Noble (1848-1943), Tench Tilghman (1810-1874), John Leeds Tilghman (1837-1862), Oswald Tilghman (1841-1932), Patty Belle Tilghman (1851-1931), Samuel Harrison Tilghman (1885-1961). A part of the Frazer papers consist of approximately 500 photographs of Frazers and their relations, acquaintances, and homes. For simplicity’s sake, these photographs have been arranged alphabetically according to the last name of the person or place pictured. Persifor Frazer, 1736-1792 Persifor Frazer, the son of John and Mary Smith Frazer, was born on August 9, 1736 in Newtown Township, Pennsylvania. Frazer served as Captain of Company A, Fourth Pennsylvania Battalion and as Lieutenant Colonel of the Fifth Pennsylvania Line under Anthony Wayne. He was later appointed Brigadier General in the Pennsylvania State Militia. Frazer was an iron manufacturer and merchant. He married Mary Worrall Taylor on October 2, 1766. They had ten children: Sarah (1769-1841); Robert (1771-1821); Mary Anne (1774-1845), who married Jonathan Smith; Persifor (1776-1798); Martha (1778) ; Mary (1780-1862), who married Joseph Smith; John (1781-1783); Martha (1783-1867), who married William Morris; Elizabeth (1786-1788); Elizabeth (1788-1857), who married Henry Myers. Persifor Frazer died on April 24, 1792. John Fries Frazer, 1812-1872 John Fries Frazer, the son of Robert and Elizabeth Fries Frazer, was born on July 8, 1812 in Philadelphia, Pennsylvania He received his early education at Parrott’s Military and Classical Institute. As a result, Frazer retained a love for the military throughout his life, and later served in the Philadelphia riots of 1844 with the First City Troop. He entered the University of Pennsylvania’s Junior Class in 1828 and received his A.B. in 1830 and semi-honorary A.M. in 1833. Frazer studied under Alexander Dallas Bache, and after graduating, acted as lab assistant to Bache and Robert Hare, M.D. He was appointed Assistant in the Geological Survey of Pennsylvania under Henry D. Rogers in 1836. In 1837 Frazer resigned from survey work to study law under William M. Meredith, although in later years he never practiced law. From 1836 to 1844, Frazer held the position of Professor in the High School of Philadelphia (now Central High School). When Alexander D. Bache resigned from the University of Pennsylvania in 1844, it was Frazer who was chosen to fill his seat. Frazer was appointed Professor of Natural Philosophy and Chemistry at the University and was the first person specifically appointed to teach chemistry. He received an honorary Ph.D. in 1854 from the University of Lewisburg, now Bucknell University, and in 1857 was awarded an LL.D. from Harvard University. From 1855 until 1868, Frazer served as the Vice-Provost of the University of Pennsylvania, and from 1859 to 1860 as acting Provost. In addition to his long service with the University of Pennsylvania, Frazer was very active in the American Philosophical Society, the Academy of Natural Sciences, the National Academy of Science, and the Franklin Institute, editing the Journal of the Franklin Institute from 1850 to 1866. Ill health in 1856 forced a restorative sabbatical in Europe for four months and again in 1866 for eighteen months. John Fries Frazer married Charlotte Jeffers Cave (1815-1881), the daughter of Thomas and Sarah Hollinshead Cave in 1838. They had three children: Anne (1839-1914), who married Rev. Thomas Kittera Conrad; Sarah (1841-1918), who married Richard Lewis Ashhurst in 1861; Persifor (1844-1909). John Fries died suddenly on October 12, 1872 while giving a tour of the physical laboratory of the University on the day the new buildings in West Philadelphia were first opened to public inspection. Persifor Frazer, 1844-1909 Persifor Frazer, the son of John Fries and Charlotte Jeffers Cave Frazer, was born on July 24, 1844 in Philadelphia, Pennsylvania. Frazer attended the school of St. Luke’s Episcopal Church and then the classical school of Samuel Arthur. In 1858, he entered the University of Pennsylvania and graduated in 1862 with an A.B. He was commissioned in the United States Coast Survey and assigned to a South Atlantic squadron under Dupont. At the beginning of the Civil War, he requested a leave of absence to serve in the First City Troop and fought in Gettysburg Campaign. 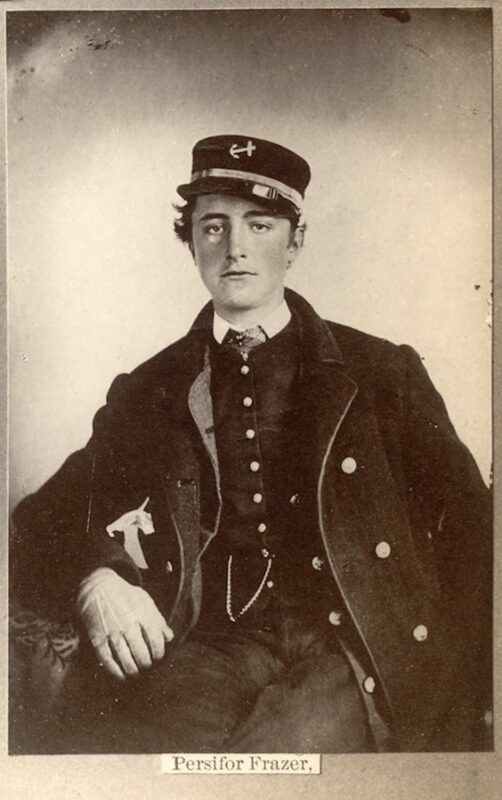 In 1864, he served as acting ensign in the Mississippi squadron. Frazer received special commendation for the survey he took of the Charleston, S.C. harbor for preparation of the attack on Fort Wagner while under fire from Confederate boats. He was honorably discharged in 1865. That same year Frazer received his semi-honorary A.M. degree from the University of Pennsylvania. At close of Civil War, Frazer studied six months in the laboratory of Booth and Garret in the study of practical chemistry. In May of 1866 until 1869, he attended the Royal Saxon School of Mines in Freiberg, Germany. Frazer passed with distinction in the examination on Mineralogy. He returned to the United States in 1869 and was appointed Assistant Geologist of Pennsylvania. As Assistant Geologist, he wrote the report on Mining and Mineralogy of Colorado and Wyoming. In 1870, Frazer was appointed Instructor in Natural History and Chemistry at the University of Pennsylvania. He was promoted to Assistant Professor in 1871 and to Professor of Chemistry in 1872, serving until 1874. In addition to his tenure at the University, Frazer served as Assistant on the Second Geological Survey of Pennsylvania, 1874-1882. In 1889, he was appointed Professor of Chemistry of the Pennsylvania Horticultural Society. He filled the Chair of Chemistry at Franklin Institute from 1891 to 1893. He was a founding member of Society of American Geologists and of the Franklin Institute Journal. Frazer was the first foreigner to receive the Docteur és Science Naturelles from the University of France, which was awarded to him in 1882. He was also awarded the decoration of the Golden Palms of the Academy from the French Government in July 1890, for public instruction. Franklin Institute Journal, 1881-1892. Some of the organizations and associations of which Frazer was a member include the American Philosophical Society, the Academy of Natural Sciences, the Society of American Geologists, the Military Order of the Loyal Legion, the General and Pennsylvania Society of Sons of the Revolution, the Society of the War of 1812, the Society of Colonial Wars of Pennsylvania, the British Association for the Advancement of Science, the New York Academy of Science, and the Reichsanstalt of Vienna. He served as the Secretary of the American Committee to the Congrès Géologique International in Berlin (1885), and as Vice President, representing the United States to the Congrès in London (1888) and in St. Petersburg (1897). Frazer was internationally respected as an expert on handwriting. He devised a process for detecting forgeries through composite photography which led to closer study of handwriting. By powerful, microscopic viewing of handwriting, Frazer found that tremors or quivers appear uniformly throughout a person’s handwriting. He linked these tremors or quivers to the nerve state of the penman. Therefore, by careful, microscopic examination, forgeries can be detected by matching these tremors from one example to another. He first published his findings in his work Bibliotechs, or the Study of Documents in 1894, which went many later revisions. His discovery resulted in a demand for his expert opinion on handwriting. He gave testimony at several big trials, in particular the Molineaux murder case in New York and the Miers-Tilton case in Camden. In the latter case, Frazer would not swear to his belief in the existence of God and was thrown out as a reliable witness. Frazer filed suit and subsequently published his reaction in his “Expert Testimony: Its Uses and Abuses,” in which Frazer attacked the attitudes of the judges on the bench to expert witnesses. Persifor Frazer married Isabella Nevins Whelen, daughter of Isabella Hubbard and Edward Siddons Whelen Sr. of Philadelphia; they had four children: Charlotte (1872-unknown) who entered the Catholic Society of the Sisters of the Assumption; Persifor Frazer, Jr. (1874-1925); Laurence (1878-1881); Dr. John Frazer (1882-1964). Persifor Frazer died on April 7, 1909. On the day after his death, a bill was passed by the Pennsylvania State Senate which allowed agnostics to testify as competent witnesses on affirmation. Robert Frazer (1849-1937) Robert Frazer, the son of Robert (Joseph) and Jane Biddle Wood Frazer, was born on July 22, 1849 in Philadelphia, Pennsylvania. He entered the University of Pennsylvania in 1863 as a member of the Class of 1867. He was a member of the Philomathean Society and the Delta Psi and Phi Beta Kappa fraternities. In addition to an A.B. 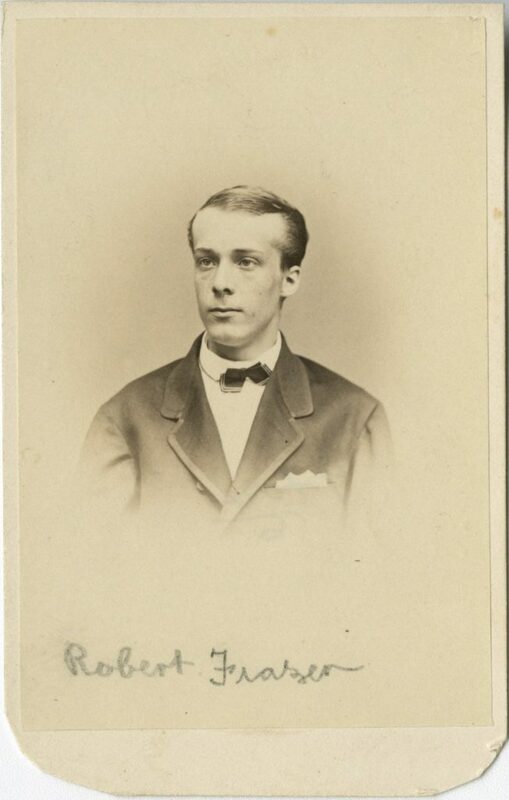 earned in 1867, Frazer also earned an A.M. from the University of Pennsylvania in 1870. A civil and mining engineer, he worked for several companies throughout his professional life, including: the Camden and Atlantic Railroad Co., Lehigh Valley Coal Co., Nelsonville Coal and Land Co., Reliance Trust Co., and Empire Coal Co. When he retired, he was president of the Bellefonte Central Railroad Co. Frazer also had an avid interest in literature and wrote “The Silent Shakespeare”, in which he explored the possible identities of playwrights whose work had been attributed to William Shakespeare. Robert Frazer married Elizabeth McKibbin (1854-1920), daughter of Dr. David James KcKibben (Class of 1849), in 1876. They had two children: Robert (1878-1947) and Margaret (1880-1955). They were divorced in 1897. He married a second time, to Harriet P. Scheafe (1856-1929), in 1897. Robert Frazer died on October 27, 1933. John Frazer, 1882-1964 John Frazer, son of Persifor and Isabella Nevins Whelen Frazer, was born on February 5, 1882 in Paris. He received his early education at Episcopal Academy in Philadelphia and at St. Paul’s School in Concord New Hampshire, graduating in 1899. In 1899, Frazer entered the University of Pennsylvania receiving his B.S. in 1903, his A.M. in 1904, and his Ph.D. in 1907. His thesis was entitled “The Application of the Rotating Anode to Certain Electrolytic Separations, and An Investigation of the Electro-Deposition of Indium by the Rotating Anode.” As a student at the University he participated in several clubs and fraternities including: Mask and Wig, Delta Psi, Sigma Xi, Phi Beta Kappa, St. Anthony, and Sphinx Senior Society. In the Fall of 1904, Frazer joined teaching staff of the Chemical Department of the College of the University of Pennsylvania. He was appointed Assistant Professor of Chemistry in 1910. He was promoted in 1921 to the rank of Professor; he served as the Dean of the Towne School from 1912 to 1928. From 1922 to 1923 Frazer was the Exchange Professor of Applied Science to the French Universities of Grenoble, Lyon, Marseilles, Toulouse, Bordeaux, Strasbourg, Nancy, Paris, Sorbonne, Lille, Rennes, Conservatoire des Arts et Metiers, and the école de Physique et Chemie, Paris. During World War I, Frazer served as a Captain in the Chemical Warfare Service, American Expeditionary Force; he was attached as Assistant Gas Officer in the First Army Corps, 78th and 6th Division in Argonne. Dr. Frazer belonged to several organizations and professional societies. Some of these included the American Association for the Advancement of Science, the American Chemist Society, the Franklin Institute, the Historical Society of Pennsylvania, the Societé de Chemie Industrialle, the Society of the War of 1812, the Pennsylvania Prison Society, the Military Order of the Loyal Legion, the Society of Colonial Wars of Pennsylvania, and the Pennsylvania Society of the Sons of the Revolution. He married Mary Foxley Tilghman (1886-1976), daughter of Oswald Tilghman, on June 9, 1915. Their children include: Tilghman (1916-1925), Isabel (1920-2008), John Jr. (1922-2011), and Tench, 1927-1990. John Frazer, Jr., 1922-2011 John Frazer, the son of John and Mary Foxley Tilghman Frazer, was born on October 11, 1922 in Paris, France. He received his early education at St. Paul’s School in Concord, New Hampshire, graduating in 1940. 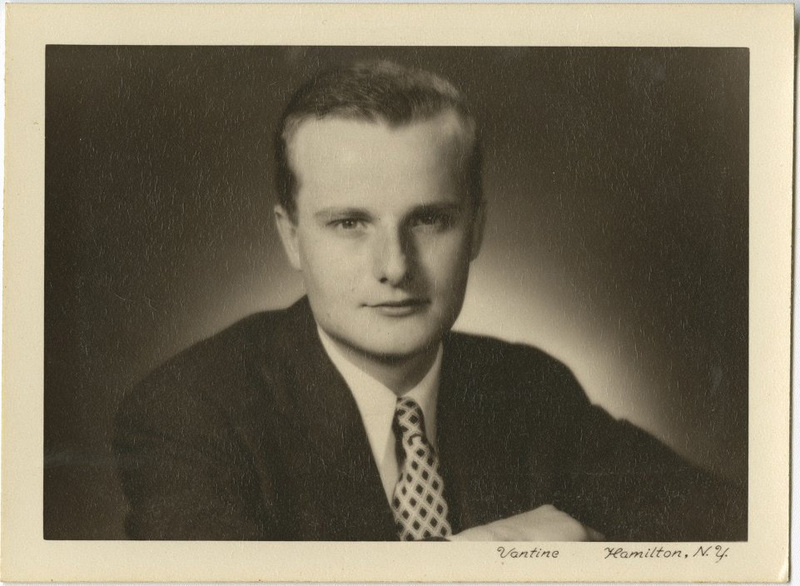 He entered the University of Pennsylvania in the fall of 1940 as a member of the Class of 1944 and, like his father, joined the Delta Psi fraternity. 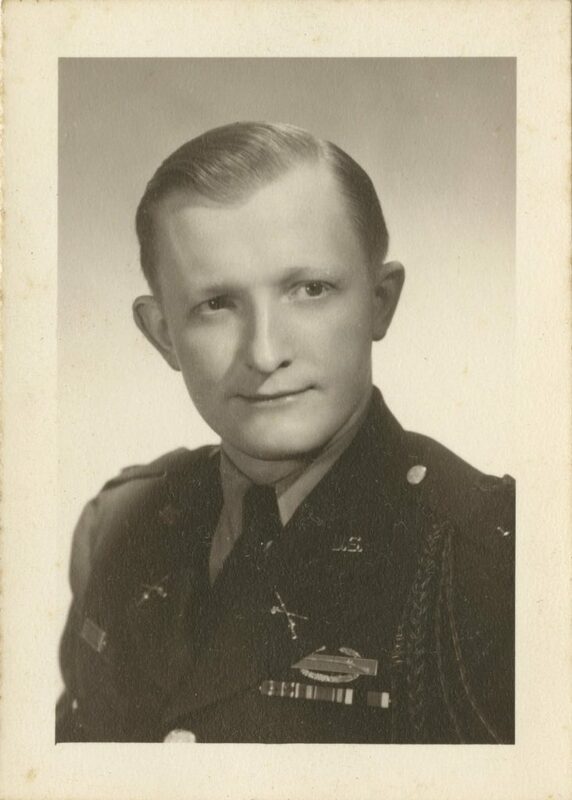 After his junior year, however, he enlisted in the Army and served in the European theater. For his service, he was recommended for a Bronze Star in 1945. Frazer returned to the United States and the University of Pennsylvania and earned his B.A. in 1947. He again served in the U.S. Army during the Korean War, this time as an intelligence officer stationed in Tokyo, Japan. In the years following, he worked for Radio Free Europe in New York City whilst also working as a professional genealogist, which had been a passion of his since his early teen years. Frazer also created an index which was used as a vital tool in the creation of the National Portrait Gallery. He was also a member of the Society of the Cincinnati, the Society of Colonial Wars, and the Huguenot Society. John Frazer, Jr. died on July 7, 2011 at his home in Annapolis, Maryland. Tench Frazer, 1927-1990 Tench Frazer, the youngest son of John and Mary Foxley Tilghman Frazer, was born on September 26, 1927 in Philadelphia, Pennsylvania. He received his early education at Germantown Friends School in Philadelphia and at St. Paul’s School in Concord, New Hampshire, graduating from the latter in 1945. He entered the University of Pennsylvania in 1945 and was a member of the Delta Psi fraternity and served as a delegate to the Interfraternity Council during his junior and senior years; he received his B.A. in 1949. During the Korean War 1950-53, Frazer served in the U.S. Army’s 4047th Strategic Intelligence Research Analysis (SIRA) team at Fort Reilly, Kansas, where he assisted in the creation and teaching of courses at the Army Intelligence School. He was discharged honorably in 1952 to accept a commission in the U.S. Navy Reserve’s Air Wing Staff. A graduate of the University of Virginia Law School in 1956, he worked for the First Pennsylvania Banking and Trust Co., the Sarasota, Florida Bank and Trust Co., and the Treasurer’s Office at the University of Pennsylvania. During his later years, Frazer was an avid supporter of the University of Pennsylvania’s Mask and Wig Club and he was made an honorary member. Tench Frazer died on September 20, 1990 at his home in Chestnut Hill, Philadelphia. Richard Lewis Ashhurst (1838-1911): Earned an A.B. from the University of Pennsylvania in 1856, also an A.M. and LL.B. 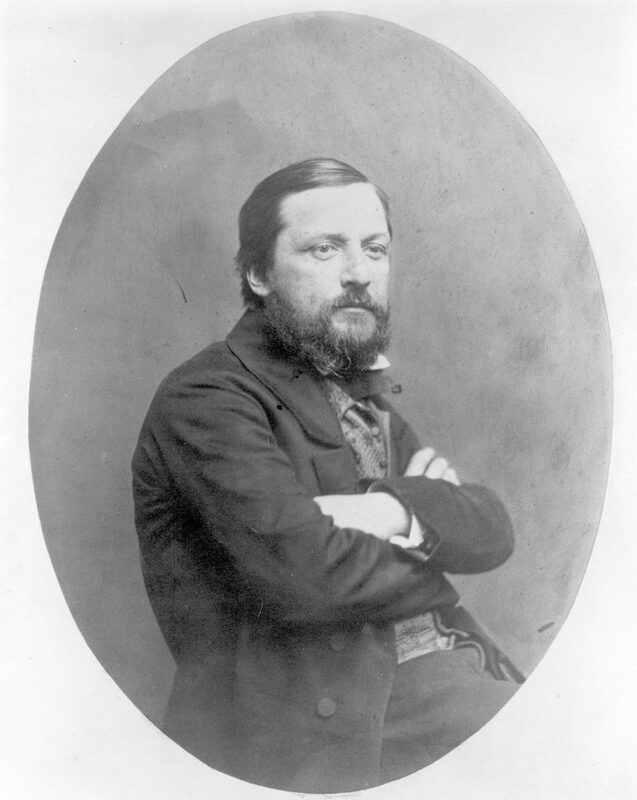 in 1859. He served in the Army of the Potomac during the Civil War until being honorably discharged after being wounded in the Battle of Gettysburg. 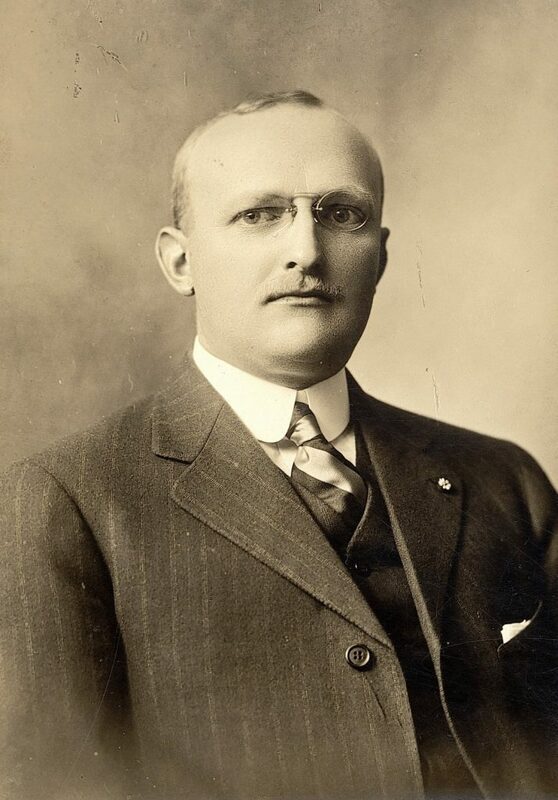 He was named Postmaster of Philadelphia in 1906, a position he held until his death. He married Sarah Frazer (1841-1918), daughter of John Fries and Charlotte Jeffers Cave Frazer, in 1861. They had five children: Harriet (1862-1938), Richard Lewis Jr. (1865-1870), Frazer (1867-1892), Mabel (1869-1955, Mrs. Frederic Stimson), and Roger (1876-1903, 1895 A.B., 1898 LL.B.). Richard Lewis Ashhurst disappeared mysteriously from an Atlantic City pier in 1911. 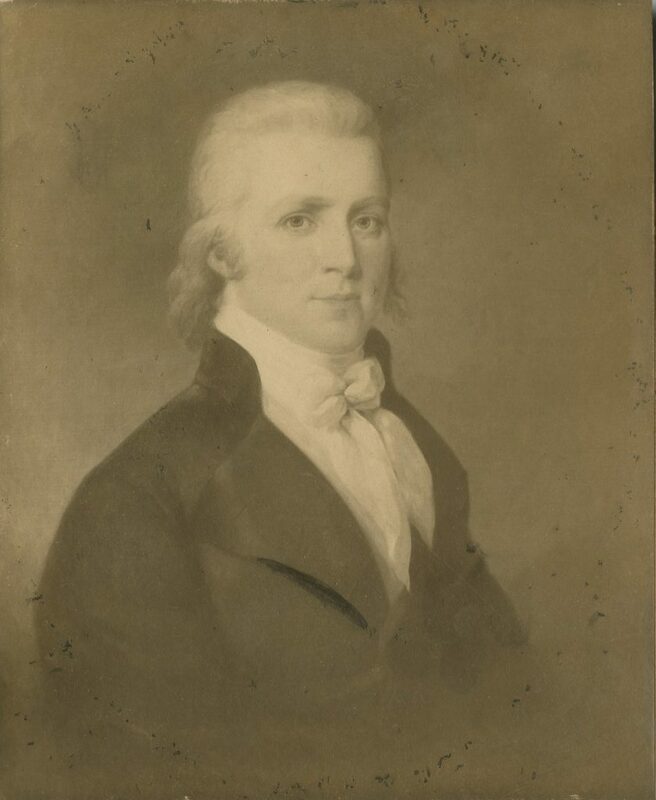 Thomas Cave (1788-1845): Father of Charlotte Jeffers Cave Frazer (Mrs. John Fries Frazer). Was a Philadelphia merchant and Apothecary General during the War of 1812. He married Sarah Hollinshead (1795-1864), daughter of Major John Hollinshead of New Jersey, an officer in the Continental Army during the Revolutionary War. Besides Charlotte, he and Sarah also had two sons, Henry C. and Thomas Hollinshead Cave. Mary Ann Rhodes Denny (1811-1872): Maternal Grandmother of Patty Belle Harrison. Sarah Toombs Fortson (1856-1953): Mother of Mildred Fortson (1893-1962, Mrs. Samuel Harrison Tilghman). Married Thomas E. Fortson in 1878 and resided in Wilkes County, Georgia. In addition to Mildred, their children included: Eugene Palmer (1879-1971), Blanton Erwin (1882-1968), Edward Norral (1884-1971), Mary (1886-unknown), Lawrence Ogilvie (1889-1955), and Robert Malcolm (1890-1974). John Fries (1744-1824): Father of Elizabeth Fries (1778-1815), second wife of Robert Frazer (1771-1821). Harrison Family Dr. Samuel Alexander Harrison (1822-1890), resident and local historian of Talbot, Maryland, married Martha Isabella Denny (1822-1909) in 1847. They had two daughters, Mary Spencer (1848-1943) and Patty Belle (1851-1931). Mary Spencer married Horace Noble (c. 1840-1916), a veteran of the Civil War. They had two children: Harrison Winship (1870) and Katharine Belle (1873-1950, Mrs. Ernest Simondetti). Patty Belle married Col. Oswald Tilghman (1841-1932) in 1884. They had two children: Samuel Harrison (1885-1961), who married Mildred Fortson, and Mary Foxley, who married John Frazer in 1915. Tilghman Family The Tilghmans of Talbot County, Maryland, were descendants of Col. Tench Tilghman, an aide de camp of George Washington during the Revolutionary War. Col. Oswald Tilghman (1841-1932) was the son of General Tench Tilghman (1810-1874) and Henrietta Maria Kerr (1812-1874), daughter of John Leeds Kerr, Unites States senator from Maryland 1841-1843. General Tench and Henrietta Maria Kerr Tilghman also had another son, John Leeds Tilghman (1837-1862). Col. Oswald Tilghman married Patty Belle Harrison (1851-1931) in 1884 and had two children, Samuel Harrison (1885-1961), who married Mildred Fortson, and Mary Foxley (1886-1976), who married Dr. John Frazer (1882-1964) in 1915. The Frazer Family Papers span over 200 years of an American family. The collection provides insight into five generations of University of Pennsylvania alum as well as three generations of educators, all in the field of chemistry, at the University of Pennsylvania and contains the papers of Persifor Frazer, Robert Frazer, John Fries Frazer, Persifor Frazer, Robert Frazer, John Frazer, John Frazer, Jr., and Tench Frazer, as well as a range of other family members and relatives. The collection is particularly strong in representing the professional and personal activities of Persifor Frazer (1844-1909) and his son John Frazer (1882-1964) from the 1860s to the 1950s. Persifor Frazer’s papers, 1776-1792, consist of correspondence, some of which was written during his time as a prisoner of war during the American Revolutionary War. There are also letters to Frazer from George Washington from the same time period; however these are not the original letters, but copies which were made at an unknown later date. There are also papers pertaining to Frazer’s various military services, including court martial proceedings which Frazer presided over. The papers for Robert Frazer, 1768-1834, consist of material of a both professional and personal nature. The professional material primarily consists of correspondence to and about Frazer’s court cases and clients. The personal material also consists of a fair amount of correspondence, mainly between Frazer and family members. There are also certificates, receipts, diplomas, and a copy of Frazer’s will. The papers for John Fries Frazer, 1829-1871, are of greater scope. Included in this series are student notes, records, and activities, 1829-1830. As the first professor appointed to teach chemistry in the College, his professional papers include lecture notes on chemistry, -1848, geology, 1839-1848, mechanics, 1869, and topography, 1836. His research notes on his scientific interests including chemistry, geology, light, metallurgy, natural science, and steam engines are present. There are notes for other interests such as Blackstone’s Commentaries on Law, literary quotations, and poetry. General correspondence, 1869, 1871 and some correspondence with his mentor, Alexander Dallas Bache, 1862-1867, are also included. Membership certificates, pamphlets and catalogs, 1830-1850, a receipt book, 1833-1834, minutes of a meeting of the Young Men Opposed to the Interference of Office Holders on Elections, 1834, and an estate inventory, 1885, finish out the series. The bulk of the collection contains the Persifor Frazer papers, -1909. Correspondence, 1866-1909, covers a variety of topics related to Frazer’s professional interests including: chemistry, minerals, anthracite coal, the Geological Survey, scientific apparatus, the Centennial, administrative and professional duties at the University of Pennsylvania, alumni efforts, and professional organizations. Some of the correspondents are Richard Lewis Ashhurst, Rachel L. Bodley, John Cadwalader, Edward Drinker Cope, James Dewight Dana, John Fulton, Joseph Smith Harris, Charles Custis Harrison, Alexander H. Holley, Joseph P. Kimball, George Augustus Koenig, J. Peter Lesley, Thomas McKean, William Metcalf, Silas Weir Mitchell, William Pepper, Bernhart Preu, Frederick Prime, Rossiter Worthington Raymond, Alfred Richard Cecil Selwyn, Stevens Institute of Technology, Herbert Welsh, Edward Siddons Whelen, James Nevins Whelen, and Henry Whelen. There is some personal correspondence scattered throughout largely related to family concerns, such as Anne Frazer’s broken engagement in 1875 and his mother’s illness and death in 1881. In addition there is also a file of correspondence on William Byrd Page. Letterpress books, 1870-1886, detail Frazer’s professional and some personal activities. Persifor Frazer’s general files, -1869, 1880-1908, cover a wide range of topics. The professional activities and interests reflected in these files includes his involvement with the Academy of Natural Sciences, the American Association for the Advancement of Science, American Philosophical Society, Scientific Societies Conference, Congrès Géologique International, the Mexican mine tunnel enterprise, and his efforts to introduce German manufacturing processes to America. Frazer’s activity as an expert handwriting analyzer is also well documented. Some personal interests included involvement with the First City Troop, the Pennsylvania Society of Sons of the Revolution, the Sons of the American Revolution, Franklin Chess Club, and the Philadelphia Fencing and Sparing Club. His papers reflect his personal interest in poetry (primarily romantic), religion and ethics, music, and sports. There is also a diary documenting his courtship of Isabella N. Whelen. A final subseries of books and pamphlets by Frazer and others finish out the collection. The American Philosophical Society also holds a collection of Persifor Frazer’s papers, the guide for which can be found here: http://www.amphilsoc.org/mole/view?docId=ead/Mss.B.F867-ead.xml;query=;brand=default. Robert Frazer’s papers, 1867-1933, consist of only a much smaller amount of mostly personal material, including his research about the Frazer family origins in Scotland and Ireland. There is also a manuscript of an unpublished second edition, dated 1932, of his book The Silent Shakespeare, the first edition of which was published in 1915. John Frazer’s papers, 1903-1955, deal primarily with his student days and his professional career, both at the University of Pennsylvania. His student papers, 1903-1907, consist of scrapbooks, printed ephemera, and notes on analytical chemistry, electro chemistry, industrial chemistry, organic chemistry, and physical chemistry. There are some laboratory notes and information on his Ph.D. and doctoral examination. His professional papers include his lecture notes on chemistry, 1923-1928, roll books, 1909-1928, laboratory notes, 1923-1934, and articles on his work with sulphur contents in plants. Correspondence and clippings offer insight into his work as well. His personal involvement with the Delta Alumni Association, 1942-1955 and the First City Troop, 1913-1915 can also be seen in the collection. Several annotated books and a large sampling of chemical instruments and apparatus complete the series. John Frazer, Jr.’s papers, 1932-1982, contain correspondence for the most part, which is generally between Frazer and his parents, siblings, and cousin Persifor “Perky” Frazer (1921-2008). The correspondence covers Frazer’s time spent in Europe during World War II and includes many detailed descriptions of his experiences while there. There is also a small amount of Frazer’s professional genealogical work included in the papers. The Tench Frazer papers, 1935-1986, also contain correspondence of a personal nature for the most part, as well as childhood journals. There is also a small amount of material pertaining to his education at the University of Virginia Law School during the early to mid-1950s. The collection also contains documentation regarding several other members of the Frazer family and their relations, the contents of which range from personal correspondence to matters regarding property and investments. Most notable among these individuals is Col. Oswald Tilghman (1841-1932). Col. Tilghman was a veteran of the American Civil War, fighting for the Confederacy fighting in Company B, Terry’s Texas Rangers of Washington County, Texas. He was captured at the Siege of Port Hudson in 1863 and was held as a prisoner of war on Johnson’s Island in Lake Erie until the conclusion of the war. After the war, Tilghman became involved in Maryland politics and served on the state senate 1893-1897 and was Secretary of State of Maryland 1904-1908. Later in his life, Tilghman was president of the Board of Development of the Eastern Shore of Maryland, and was auditor of the circuit court of Talbot County for over twenty years. The University of Delaware Special Collections Library holds a collection of Tilghman family papers, the finding aid of which can be found at the following URL: http://www.lib.udel.edu/ud/spec/findaids/html/mss0524.html. The photographs in the collection consist of portraits from about the 1840s through the 1910s. Subjects living before or during the advent of photography tend to be represented here by undated photographs of paintings. More informal snapshots begin in the early 20th century and continue to the 1950s. There are also some photographs of family homes included. Military Order of the Loyal Legion of the United States. Pennsylvania. Militia. Troop of Philadelphia Cavalry, 1st. Philadelphia Fencing and Sparring Club. Society of Colonial Wars in the Commonwealth of Pennsylvania. Society of the Cincinnati in the State of New Jersey. Sons of the Revolution. Pennsylvania Society. Copies of Letters from George Washington in 1777, n.d.
University of Pennsylvania, A.B., 1789 (photograph of original), n.d.
University of Pennsylvania, A.M., 1792 (photograph of original), n.d.
Typed Summary of Receipts from 1794-1818, n.d. The Holy Bible: Containing the Old and New Testaments. Philadelphia: Matthew Carey, 1803. Reports of Divers Special Cases Adjudged in the Courts of King’s Bench, Common Pleas, and Exchequer, in the Reign of King Charles II. Second Edition. 1743. University of Pennsylvania, A.B., 1830 (photograph of original), n.d.
University of Pennsylvania, A.M., 1833 (photograph of original), n.d. The Evidence and Authority of the Christian Revelation. Seventh Edition. Hartford: G. Goodwin and Sons Printers, 1822. Frazer, Persifor. A Recent Chapter in the Modernist Controvery: The History of the Wahrmund Incident. The American Journal of Theology 13. April 1909. Frazer, Persifor. Identification of Human Beings by the System of Alphonse Bertillon. The Journal of the Franklin Institute 167. April 1909 and May 1909. Bibliotics or the Study of Documents, Determination of the Individual Character of Handwriting and Detection of Fraud and Forgery, New Methods of Research. Third Edition. Philadelphia: J.B. Lippincott, Company, 1901. Annotated. Bibliotics or the Study of Documents, Determination of the Individual Character of Handwriting and Detection of Fraud and Forgery, New Methods of Research. Third Edition. Philadelphia: J.B. Lippincott, Company, 1901. Green cover. Bibliotics or the Study of Documents, Determination of the Individual Character of Handwriting and Detection of Fraud and Forgery, New Methods of Research. Third Edition. Philadelphia: J.B. Lippincott, Company, 1901. Red cover. Journal of the Franklin Institute. April 1904. Des Faux en écriture et de l’écriture Méthode Scientifique Nouvelle d’Analyse et D’Examen. Trans. L. Vossion and H. Bouët. Paris: Guillaumin et Cie, 1899. Frazer, Persifor. Ernst Haeckel’s Solution of the World Riddle. The Open Court 18. January 1904. Frazer, Persifor. Essays and Pamphlets by Persifor Frazer D. Sc. Volume I, 1870-1883. Leather bound book of pamphlets. The American Law Register. February 1902. A Manual of the Study of Documents to Establish the Individual Character of Handwriting and to Detect Fraud and Forgery Including Several New Methods of Research. Philadelphia: J.B. Lippincott Company, 1894. Annotated. Mémoire sur la Géologie de la Partie Sud-Est de la Pennsylvanie. Doctor of Natural Sciences Degree diss., Université de Lille (France). Lille: Imprimerie Six-Horemans, 1882. Mémoire sur la Géologie de la Partie Sud-Est de la Pennsylvanie. Doctor of Natural Sciences Degree diss., Université de France, 1882 (published by Imprimerie Six-Horemans of Lille). Bound. Transaction of the American Institute of Mining Engineers, n.d.
Bulletin of the Geological Society of America 16. 1904. 2 copies. American Geologist. June 1902. Two copies. Scientific Methods in the Study of Hand-Writing. Philadelphia: The Franklin Institute, 1907. Search for the Causes of Injuries to Vegetation In an Urban Villa Near a Large Industrial Establishment Together with a Bibliography of the Subject. N.p. : By the author, 1907. 2 Copies. Some Wars in Science: Address before the Society of Colonial Wars in the Commonwealth of Pennsylvania. Philadelphia: Society of Colonial Wars, 1904. Frazer, Persifor. The Service of the First Troop Philadelphia City Calvary During June and July, 1863. Tables for the Determination of Minerals by Physical Properties Ascertainable With the Aid of a Few Field Instrument. Fifth Edition. Philadelphia: J. B. Lippincott Company, 1901. Tables for the Determination of Minerals by Physical Properties Ascertainable With the Aid of a Few Field Instrument. Fifth Edition. Philadelphia: J. B. Lippincott Company, 1901. Leather cover. Tables for the Determination of Minerals by Physical Properties Ascertainable With the Aid of a Few Field Instrument. Fifth Edition. Philadelphia: J. B. Lippincott Company, 1901. Annotated. Leather cover. Tables for the Determination of Minerals by Physical Properties Ascertainable With the Aid of a Few Field Instrument. Fifth Edition. Philadelphia: J. B. Lippincott Company, 1901. Leather cover. Annotated. Frazer, Persifor and Amos Peaslee Brown. Tables for the Determination of Minerals by Physical Properties Acsertainable With the Aid of a Few Field Instruments. Fifth Edition. Philadelphia: J.B. Lippincott Company, 1910. Leather cover. Les Révélations de L’écriture d’après un Controle; Binet, Alfred. Les Révélations de L’écriture d’après un Controle Scientifique. Paris: Félix Alcan, éditeur, 1906. Committee of the Society of the Alumni. Biographical Catalogue of the Matriculates of the University of Pennsylvania, 1749-1893. Philadelphia: Avil Printing Company, 1894. Philomathean Society of the University of Pennsylvania, Biennial Celebration. Philadelphia: William F. Fell and Co., 1887. Presented by author to Frazer. Some Memoranda in Regard to William Harvey, M.D. New York: n.p., 1907. Annotated and signed by the author. De la Malaria. Paris: Libraire de l’Academie de Medecine, 1891. Physiologie Du Gout, Meditations de Gastronomie Transcendante. Paris: Paulin Editeur, 1846. Annotated. The First Book of Moses Called Genesis. The Temple Bible. Philadelphia: J.B. Lippincott Co., 1901. Annotated. The First Book of Moses Called Genesis. The Temple Bible. Philadelphia: J.B. Lippincott Co., 1902. Annotated. University of Pennsylvania, A.B., 1862 (photograph of original), n.d.
University of Pennsylvania, A.M., 1865 (photograph of original), n.d.
University of Pennsylvania, A.M.,1904 (photograph of original), n.d.
University of Pennsylvania, B.S., 1903 (photograph of original), n.d.
University of Pennsylvania, Ph.D., 1907 (photograph of original), n.d. The Pennsylvania Gazette, Vol. 20, No. 26 (1922): 607-608. Power of Attorney to J.A. Denny, n.d. Early Drawing, Civil Engineering, n.d.
Typed transcripts of correspondence from 1784 and 1793-1795, n.d.
Typed transcripts of correspondence from 1796, n.d.
Typed transcripts of correspondence from 1797, n.d.
Frazer, Anne Fries (1807-1837), portrait n.d.
Frazer, John Fries (1812-1844), engraved portrait n.d.
Frazer, Mary T., Tilghman, Isabel, and John Jr.